Magnetic MRO, the Estonia-based, China-owned provider of aircraft technical care, has announced the launch of a new line maintenance station at Norway’s Ørland airport (OLA). The new station will support the maintenance of Saab 340 turboprop aircraft that are operated by Scandinavian regional airline Air Leap. “We are delighted to re-start our Saab 340 line maintenance support [here] on a daily basis,” says Andrei Tšurikov, Magnetic MRO’s line maintenance manager. “With a new airline customer, we look forward to expanding our cooperation with [other] Scandinavian carriers, both in line maintenance and other maintenance, repair and overhaul (MRO) services,” he adds. 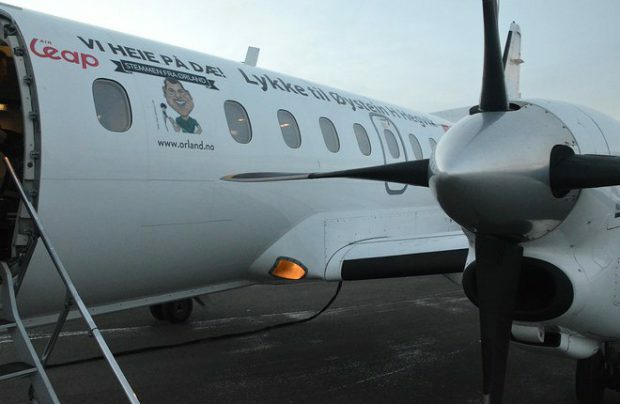 The new Ørland airport line maintenance station, which was opened early in January, offers a range of support services including, but not limited to transit, daily and weekly checks, defect rectification and engineering support for Air Leap’s twin-engined turboprop Saab 340s. Magnetic MRO now has seven line stations on its operational map in Europe. Its MRO capabilities cover a range of narrow-body aircraft types such as the Boeing 737CL/NG, the Embraer E170/190, the Bombardier CRJ900/1000 and the Airbus A320. In 2019, the company expects to add up to five new stations to its network. Magnetic MRO (formerly Air Maintenance Estonia) was acquired by China’s Guangzhou Hangxin Aviation Technology in 2018.